Residential water service within the Scenic Oaks and Country Estates subdivisions is provided by The Oaks Water Supply Corporation (TOWSC). TOWSC is a not-for-profit, member owned co-op. The major requirements for membership are property ownership and responsibility for payment of water services to the property owned. Homebuilders, developers and lien holders are not eligible for membership. The original owner of the water system was Scenic Oaks Water Supply Corp. (SOWSC), a for-profit corporation. The SOWSC was placed in Chapter 11 bankruptcy. The bankruptcy court converted this proceeding to a Chapter 7 liquidation. TOWSC was formed to bid on the assets of SOWSC in a court supervised auction. TOWSC and two other entities submitted bids. TOWSC was the successful bidder. TOWSC is managed by a Board of Directors elected by the membership. The Board consists of five directors who serve without compensation. The Board meets monthly, normally on the third Tuesday of each month, at 7:30 p.m. The meeting is held in the TOWSC office located at 26058 Hazy Hollow Dr., just inside the Scenic Oaks security gate. All members are welcome at these meetings. An annual meeting of the membership is held on the fourth Monday of March. The directors are elected at this annual meeting and members also vote on other issues as necessary. During our ownership of the corporation we have made many additions and improvements to the system and are continuing to do so. The system is presently supported by four pumping/storage stations and eight groundwater wells. Our wells pump water from the Cow Creek formation of the Trinity aquifer. One improvement we have made is installation of facilities to purchase and use water from the San Antonio Water System (SAWS). This provides a supplemental supply and is intended to eliminate severe rationing during drought conditions. During the period from October 1993 to August 2006 a contractor was employed to operate the water system. The contractor provided daily maintenance and service as needed. The contractor was also responsible for reading meters, billing customers, and responding to customer inquires and complaints. The contractor was K M Utility Management and its successor company Haskins One Pump, Ltd. Effective 1 September 2006 the Board has hired our own staff to operate the water company. Our staff is now responsible for all company operations. The staff will also perform limited maintenance. Maintenance beyond the staffs capability will continue to be performed by contract. 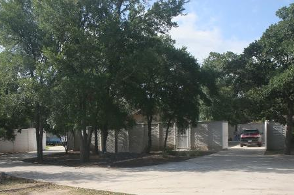 In addition, we have constructed an office facility within the Scenic Oaks neighborhood which is manned from 9:00 am to 1:00 pm Monday through Friday. The Scenic Oaks and Country Estates subdivisions are located in an area which normally receives limited rainfall during the summer months and sometimes during the rest of the year also. The large lots that we enjoy around our homes produce heavy irrigation requirements. Limited rainfall can, and sometimes does, reduce the water level in the aquifer from which we receive our water supply. When the aquifer water level drops the output of our wells is reduced. We have no control over this situation. Whenever the levels drop too much we must impose water use restrictions. However with our capability to supplement our water supply with purchase of wholesale water from the San Antonio Water System we do not have to base restriction decisions solely on well levels. We do have to follow SAWS water use restrictions which are less restrictive than those we would have to impose if we were dependent only on our wells.